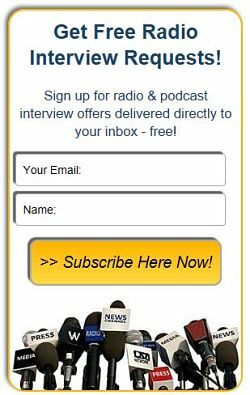 Podcast Guests: How to Find Experts for Radio Show Interviews - Free! - Radio Guest List.com - How to Get Radio Interviews and Find Podcast Guests! Podcast Guests: How to Find Experts for Radio Show Interviews - Free! To find podcast guests and experts to interview on your radio show, you’ll find lots of recommendations online about how to search for good talk show guests using Google, LinkedIn, Facebook, and even other podcasts. But why spend all that time networking and begging for podcast guests when www.FindRadioGuests.com makes it so much easier? FindRadioGuests.com is a free radio and podcast guest-finding service designed to make it easier for radio hosts to book good guests. Entertaining and well-informed experts are available to you if you want to find podcast guests, too. The free service can connect you with authors, experts, politicians, doctors, athletes, teachers, celebrities, and experts of all types just by filling out their short and easy “Guest Request” form. Within a few days, you’ll get emails from experts who are qualified and interested in appearing on your podcast as an interview guest. Check it out at http://www.FindRadioGuests.com. You can't beat free and easy!